I hope everyone had a wonderful weekend. 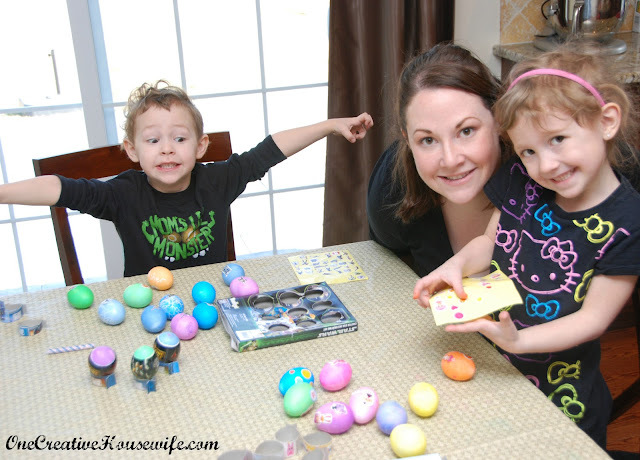 We celebrated Easter at home this year and had a lot of fun! Below are some of the fun things we did this weekend. 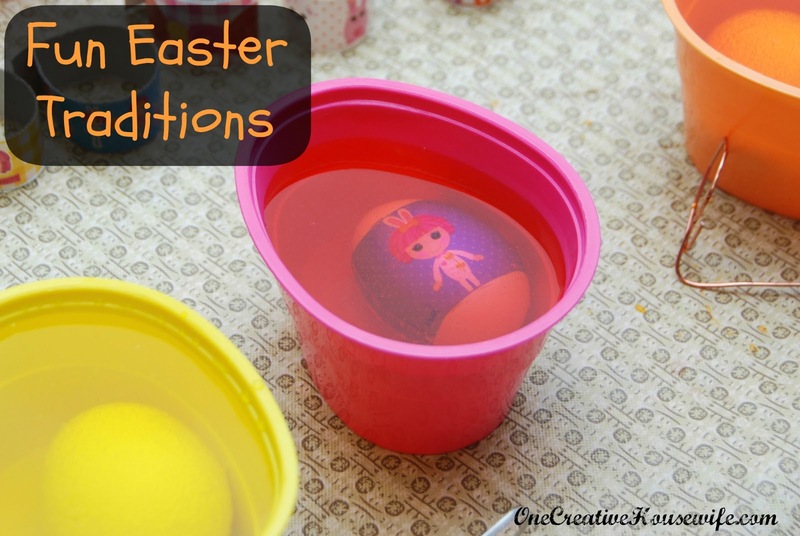 On Saturday we dyed and decorated eggs. My daughter made Lalaloopsy eggs and my son made Star Wars eggs. This picture shows my kids' true forms. My daughter is almost always posing and looking at herself in the mirror, and my son is constantly doing anything to get a laugh! 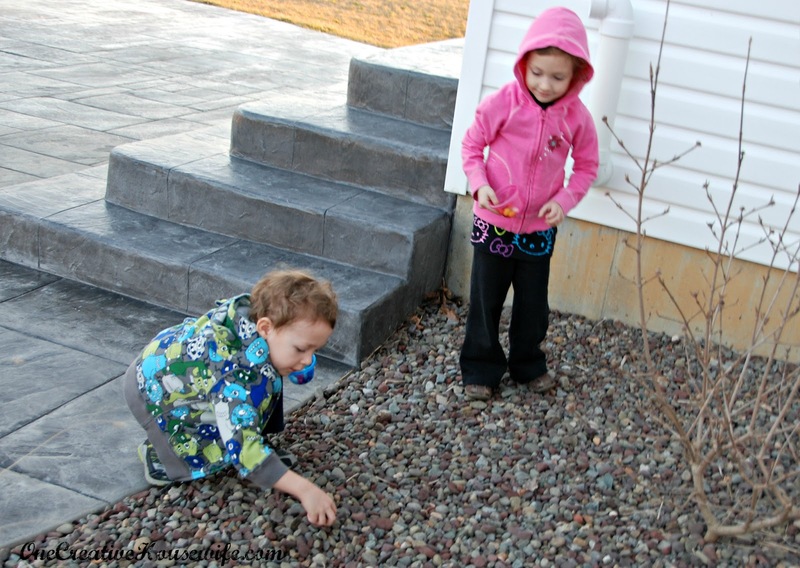 Saturday in the late afternoon the kids planted jelly beans in our back yard, and waited for lollipops to grow overnight. I had them place them in the stones in our garden, so I could stand the lollipops in the stones and not get any dirt on the sticks. On Sunday Morning they awoke to find their baskets from the Easter Bunny. Later on Sunday the kids got to pick the lollipops that "grew" from the jelly beans they planted the day before. 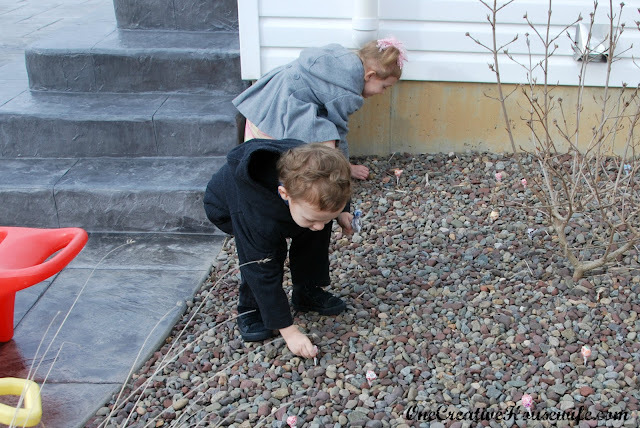 After they picked their lollipops, they had their egg hunt. 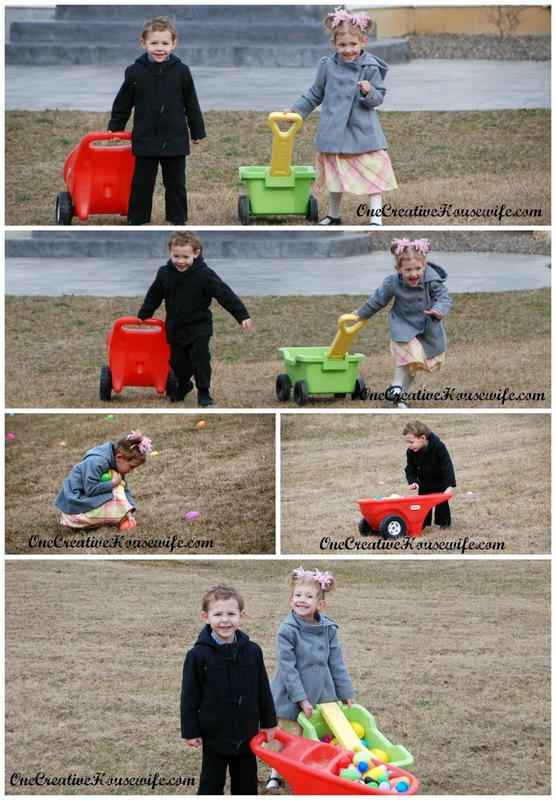 This is my kids favorite part of the egg hunt. 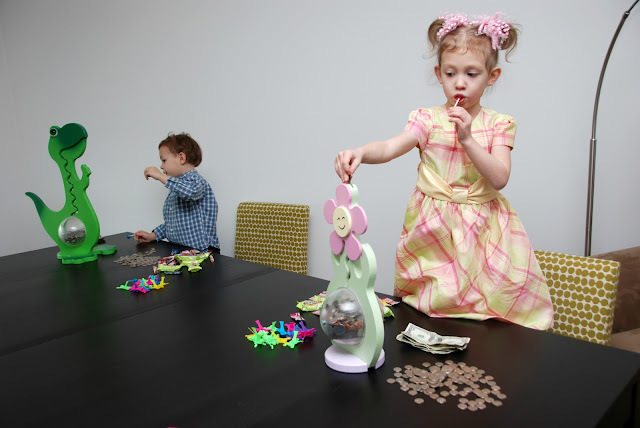 After they open their eggs, they get to put all the change they get from the eggs in their piggy banks. After this fun filled weekend I can only hope that my kids will carry these memories with them throughout their lives, and look forward to doing them each year.